Because I’l living in Italy from more than half year I had to make a fishing licence like other fishermen from Italy. The bureaucracy is like in all countries, nobody know exactly what you have to do to obtain a regular licence but in the end with the help from a very nice fishing shop owner I obtain one. Costs 102eur/year – first year and will cost in the future no more than 60eur/year so is not expensive at all. 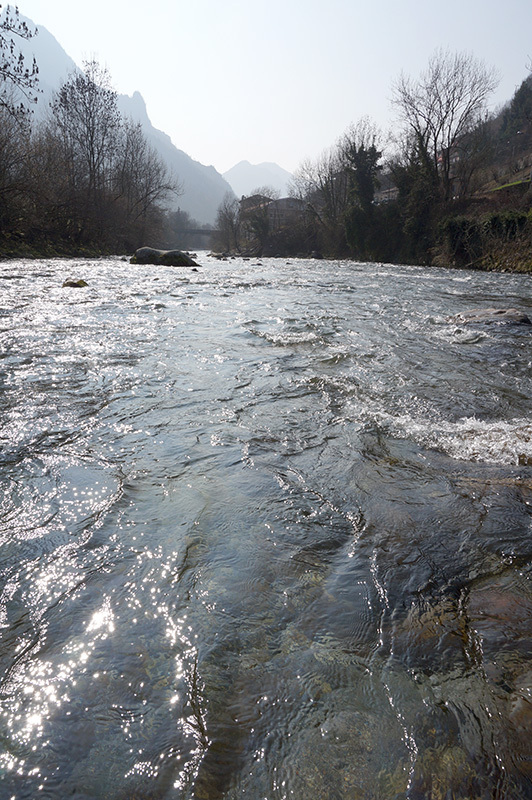 I decided to go out for my first day of fishing in the 2014 season on river Serio from North Italy. 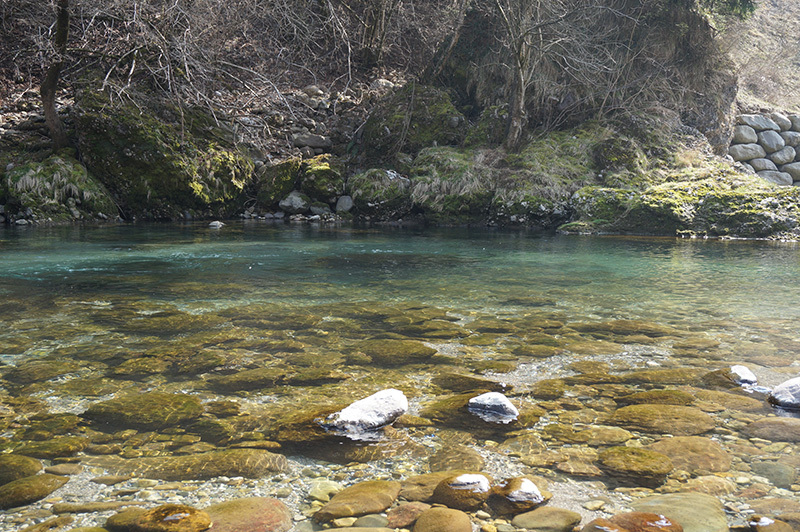 It is a nice river, unfortunately with a lot of small dams on it but with nice wild fish in it. I arrived very early at 7.30 in the morning after a hour of driving from Monza. A lot of fishermen like me very excited to go in water and catch some fish. 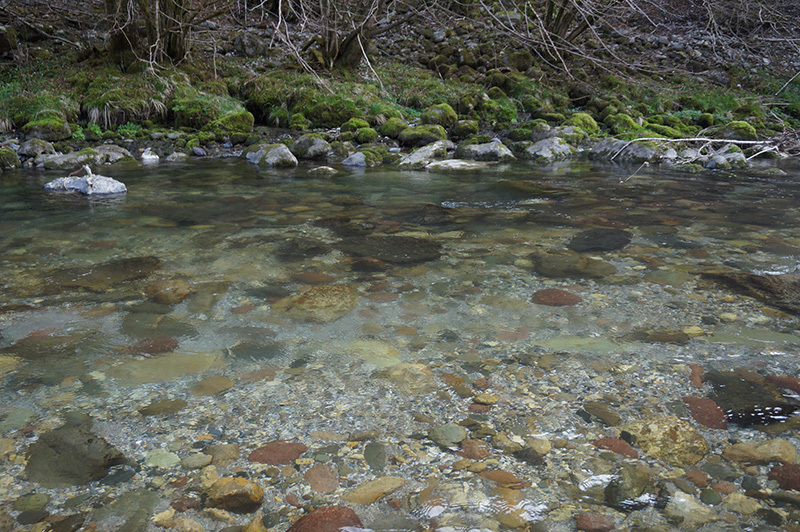 The river was low and the water was very clear, too clear compared with my types of rivers. 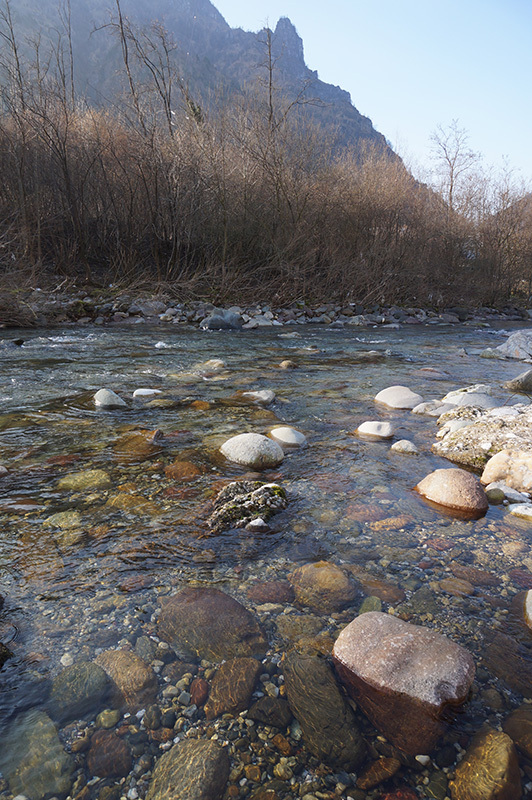 But hey, after a long period of checking photos of my friends on internet, being there in the middle of nature, on the riverbank , in a sunny Saturday will be a nice day even if I will not catch something. 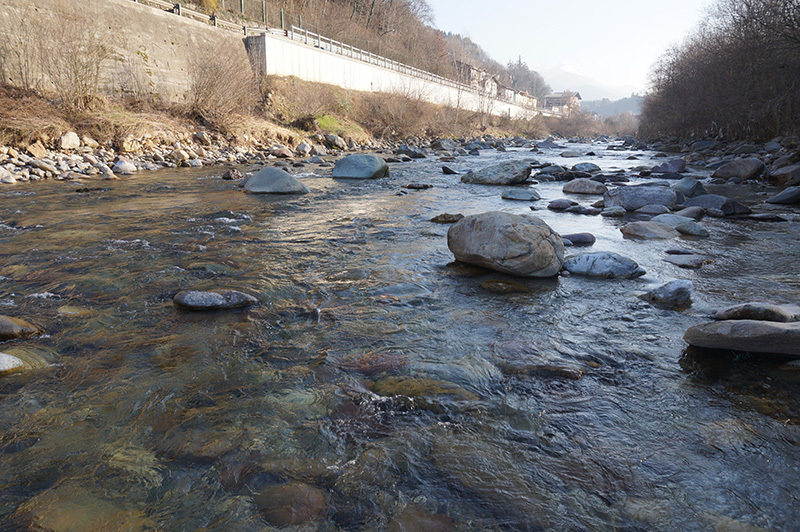 I start the day with nymph fishing in the upper part of the No Kill zone from Ponte Nossa. 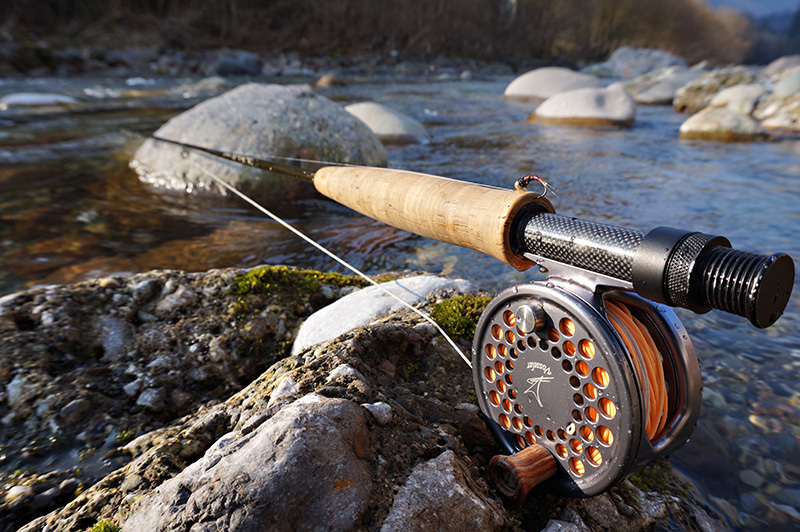 I set my T40 Jaques Boyko fly rod of 10′ with a model of PT atractor type of nymph. 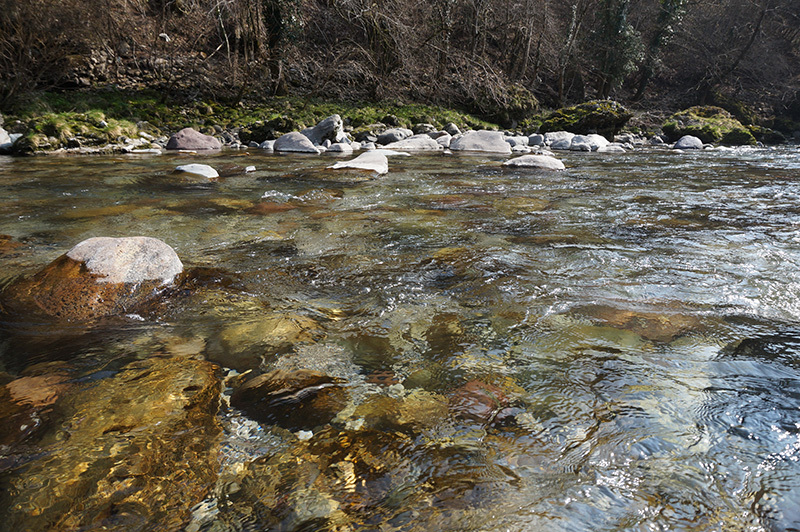 In that area was aloud to use one nymph so I set a medium nymph on a leader of 6m and I start to fish upstream. After 2 hours a nice brown trout was hooked. With my knees hurting me, half wet all my mood was washed away so I choose to move in the upper part in a normal area. There arrived to many fishermen and was nonsense to stay there. I went aprox 2km upper and I set a streamer on my Cortland Camo intermediate line and I start to make a few casts. 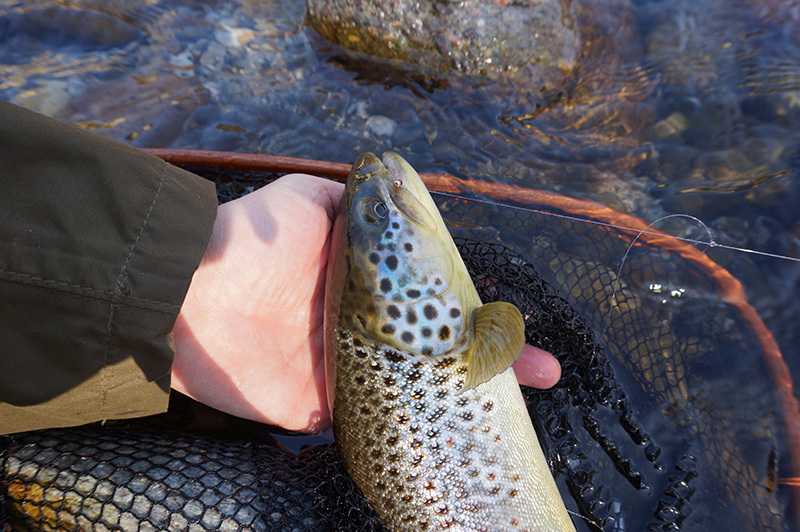 Suddenly a nice trout hit my my black marabou streamer and remained without fly. I tried to use other streamers but nothing was happened. Unfortunately I didn’t had other black streamers so after a half hour I stopped. 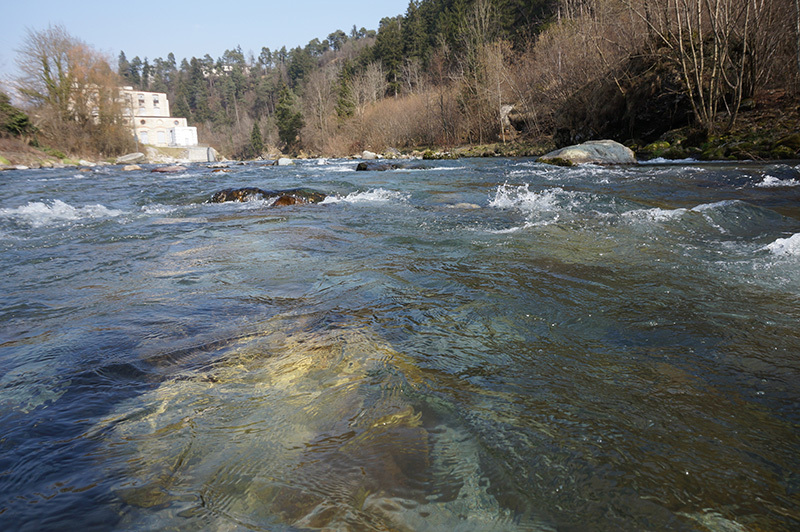 I laid down for a half hour and I admired the beautiful river. 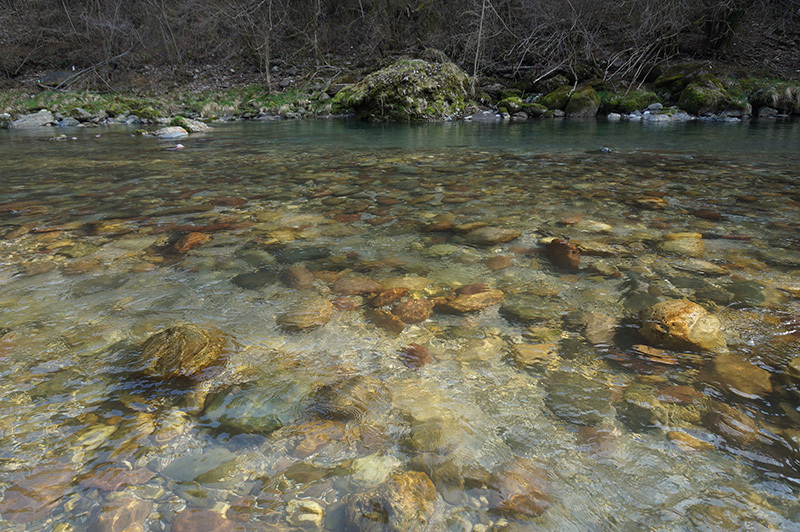 I noticed that the fish was very shy and I took them only on long casts , far away from me. 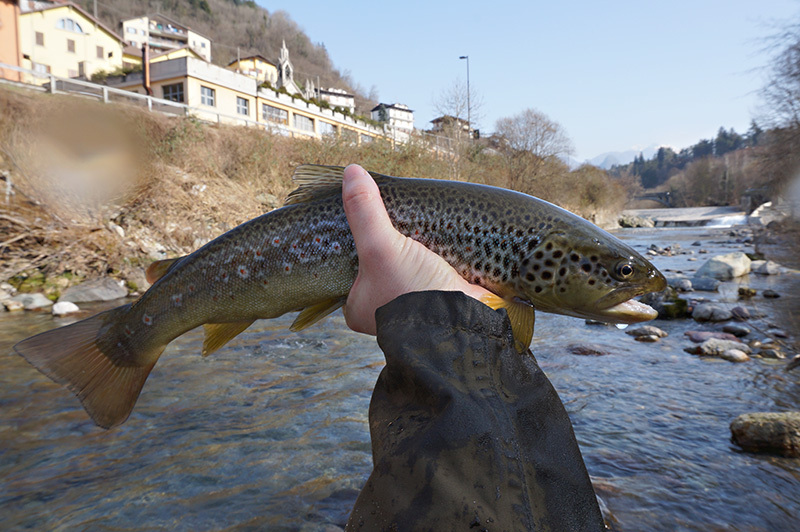 In the end was a beautiful sunny day, a magnificent view with the peaks of the mountains full with snow and beautiful Italian trout. 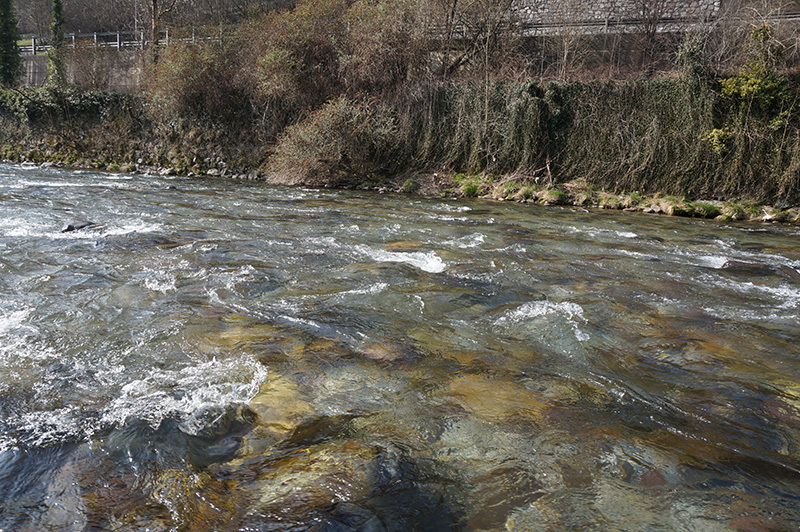 Before I went at home I made a few photos and I call a friend to plan the next fishing day on river Olio.